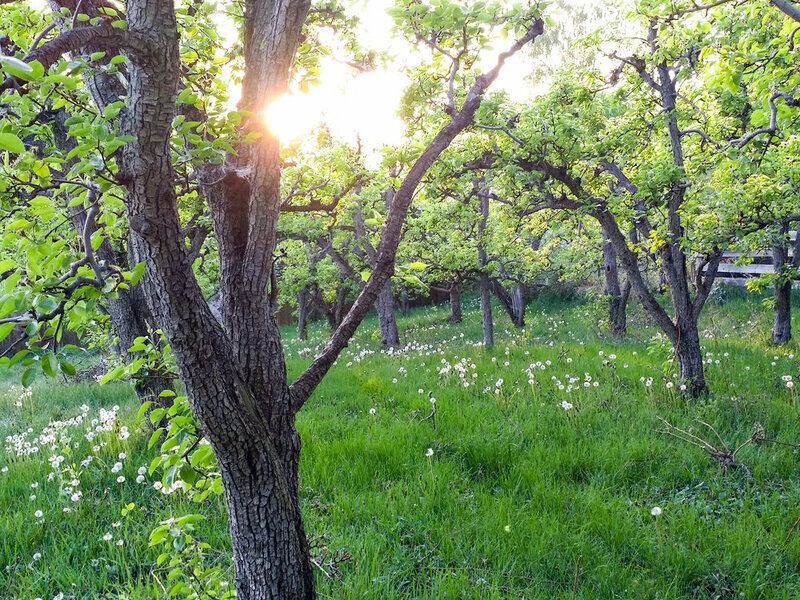 When Sylvester Neigel, our grandfather, returned from World War II, he planted a small hobby orchard. Syl was an inspiration to all of us. The man who knew everyone in town and was always there help no matter what. After his passing we took over care of the small crop of trees. We soon found ourselves too small to supply the large local packing sheds and ripe for a new direction. It was time to enjoy drinking the spoils of our harvest. In the years before going to market, we started pressing on an old 1903 cider press with the zeal of impassioned hobbyists. The previous owner of this second hand press told us we could make good "adult" cider by leaving some fresh press in gallon jugs under the stairs until they were the size of basketballs. We were horrified, and figured that we may have saved someone from going blind by taking it off their hands. We soon realized that the native pear varieties on the property provided for a uniquely light and flavorful finish, and a small family company was born. The first pears we press each season come off of the heritage family orchard and through the year we pear this fruit with bins from around the Wenatchee valley. As one of the first cideries in the country to focus solely on pear, Pear UP pioneered the low sugar, flavor-forward alternative offering blends that are perfect for enjoying anytime from a hot day out on the boat to a fire-side winter huddle.